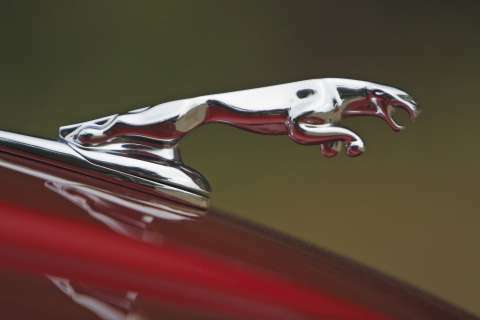 Jaguar’s famous Leaper is back where it belongs – on the bonnet of Jaguar saloons in Australia. The Leaper last appeared 'officially' on a production model Jaguar in Australia in 1970. That same year the Jaguar 420G, which wore the Leaper, was replaced by the XJ6, which was produced without the Leaper. 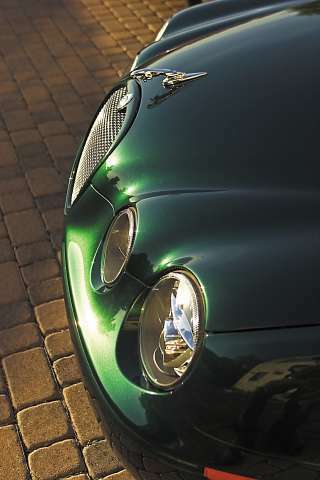 The Leaper is located at the forward edge of the bonnet. The mounting is spring loaded and the Leaper will rotate through 360 degrees, an important criterion in meeting the required safety regulations. The new Leaper satisfies all stringent safety regulations set by the Federal Government. The Jaguar Leaper has a rich history as a mascot that dates back to when the company changed its name from SS Cars to Jaguar in the 1930s. In 1935 the first mascots were designed and produced by a small British company that sold them as an aftermarket accessory. Jaguar founder Sir William Lyons soon revised the design and by 1938 a Jaguar produced Leaper was available as a factory option for an additional two guineas. It continued as an option until the Mark VII in 1950 when a stylised Jaguar head with a winged emblem was fitted as standard on the radiator grille. The leaping mascot returned in 1956 as a standard fitment on the Mark VIII although by now the seven-inch animal had again been restyled. The last cars to have a factory fitted Leaper were the 420, Mark X and 420G models and since then the Leaper has been used only in Australia in advertising material and of course the company logo. Receive the news by e-mail, SUBSCRIBE to our free newsletter. Simply send a blank e-mail from here.